Grandparents and their grandchildren oftentimes have a unique bond that even parents and their children don’t have. Whether it’s the extra generation between them that serves as a buffer from the usual arguments and rebellious behavior, or the tolerance and acceptance from both sides that make their relationships more easy-going. Certainly, after watching their own kids grow up, the grandparents may have more of their time to offer their young descendants, while getting a youthful jolt from them, usually without all the responsibilities. Maybe the grandkids just get a kick out of grandparents who speak their mind, all the while getting spoiled by them at the same time. And perhaps, there’s an unconscious realization deep down that their time together on this earth is somewhat limited that helps deepen the special connection between grandparent and grandkid. It is this relationship that is twisted and turned upside down in M. Night Shyamalan’s latest thriller, The Visit. Here, budding teen filmmaker, Rebecca, and her younger brother, Tyler, are going to stay with their grandparents for a week in rural Pennsylvania. Because their now single mom had a falling out with her parents when she eloped 15 years earlier with an older schoolteacher, the kids have never met them before. Rebecca decides to videotape the trip for a documentary, hoping to try and reconcile some of the issues they all have in the process. While the grandparents seem pleasant enough, their increasingly odd behavior begins to worry the two kids as maybe there’s more going on here than meets the eye. What is Pop Pop constantly up to in the shed? If bedtime is at 9:30, what is Nana doing prancing around after 10? What’s in the locked basement besides an infestation of mold? And how far into the oven do you have to go to get it sufficiently clean? 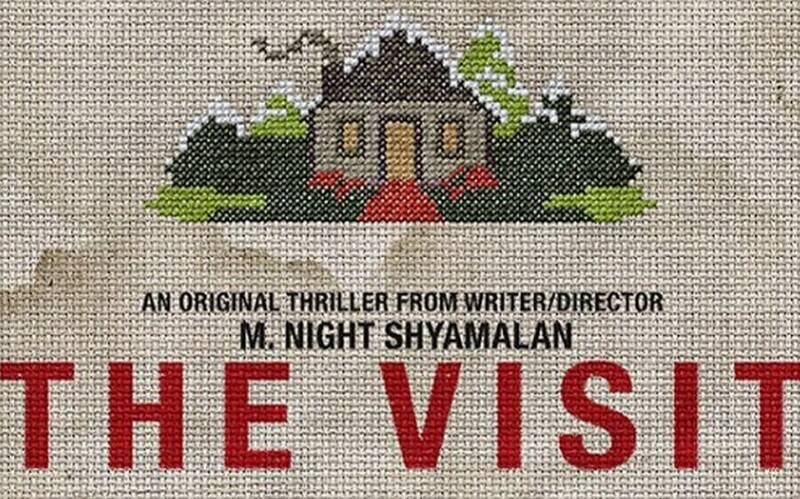 The Visit is a fun, eerie thriller, full of mystery and terror, and serves as a marked success for writer/director M. Night Shyamalan after several less than well received films since his big hits, The Sixth Sense and Signs. 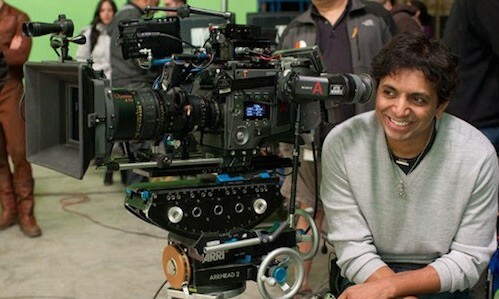 Here, Shyamalan explores the effects the aging process has on one’s mind and body. Indeed, much of the grandparents’ bizarre behavior is initially attributed to the effects of getting old. Peter McRobbie and Deanna Dunagan do a terrific job as the grandparents, going from harmless and sweet to creepy, weird and malevolent. Olivia DeJonge is intelligent and thoughtful as Rebecca, as she uses her film to uncover repressed feelings and come to terms with a family that was torn apart. Ed Oxenbould is a hoot as Tyler, a budding rapper who has a hilarious way of substituting curse words with the names of female pop singers. The two make a very believable brother and sister. Kathryn Hall also adds some pathos and humor to her role as the kids’ mom. While M. Night Shyamalan become known for, and was unfairly pigeon-holed for, coming up with twist endings for his films, his movies were always more about the journey then the destination. Like Steven Spielberg, he tends to explore the dynamics of a broken family, and the unresolved issues that exist just below the surface, while bringing the family together to survive some outside force. And while the found footage technique has been overused and misused, here Shyamalan employs it to great effect as Rebecca documents her visit. Rather than use the method purely for budgetary reasons, as The Visit cost a mere $5 million to produce, here it actually has a deep and meaningful reason behind it. Another aspect Shyamalan likes to explore in his films – water, in his Unbreakable, Signs, Lady in the Water – is largely absent here, other than a ‘what is in the well?’ scene. As for his signature twist ending, it’s better not to say whether there is one here or not. Suffice it to say the film has a thing or two you may not see coming. Regardless, The Visit is more than welcome, and the Gore 4 looks forward to more from M. Night – hopefully a sequel in some form to the superb Unbreakable. 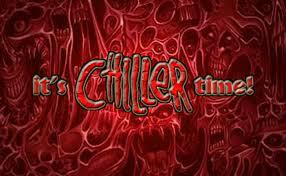 Agreed it’s a must-see for horror fans. While it can be difficult to get the right mix of horror and humor when both are involved, Shyamalan finds the right balance here. Apparently, it did take a couple of different edits to find the perfect blend, but it definitely leans more toward horror. Hopefully, Shyamalan will win back some of his fans with this and thus, gain back some clout to do other cool films. Its box office success so far would certainly indicate that may well be the case.